Last summer I bought a medium-sized potted bush to decorate my back porch. As autumn drew to a close, bringing with it the winter chill, I knew I should have sheltered it in some way. But I procrastinated too long, and later I watched it freeze in the chill of winter. The leaves wilted and died, and two inches of ice sat tightly around the top of the pot, freezing the roots. I planned to throw the dead bush out with the rest of the frozen plants. When the weather warmed again, the clover sprang up, pear trees bloomed, and wouldn’t you know it—my bush started sprouting leaf buds! It wasn’t dead after all, just dormant. Perhaps you feel the same way about the romance in your marriage. It appears lifeless and brittle. But with a little sunshine of love and some rain showers of focused attention, this spring may bring back to life the buds of romance you once enjoyed. 1. Spend an afternoon in the park. Send the kids to grandma’s house for a few hours, pack a picnic, and drive to a local park. Go ahead, take your shoes off and lay in the grass. Bring along a couple of kites or a badminton set and have some leisurely fun together. You might consider taking a few pictures to capture lifelong memories. 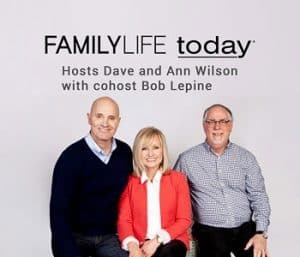 Your kids might be jealous and complain that you’re going somewhere without them, but they will relish the fact that Mom and Dad love each other enough to spend time alone together. Nothing brings people together like working as a team to achieve a positive goal. Start with a plan on paper, mapping out what you want to plant, and then start working the soil. Include flowers that you can later cut and use to decorate your home—a symbol of the work you accomplished together. 3. Go for a walk or take a ride through the country. Everyone needs a sabbatical from household duties and chores—even if only for 30 minutes. Enjoy the displays of God’s creation through flowers, birds, and sunshine. Instead of discussing problems or issues in your relationship, use this time to connect and unwind. If you have older kids, let them stay at home while you go out. If you have small children, take them with you, but concentrate on each other, not the kids. As you explore, hold hands and sneak a kiss now and then. Let the children see how much you love each other. After the kids have gone to bed, build a fire, preferably outside. For an extra treat, pull out the marshmallows, graham crackers, and chocolate bars for s’mores. Talk about the events of the day and catch up on life, especially the details that might generally get left out. Oftentimes, married couples are so busy making the home run well that the only thing they talk about is household business. While sitting around the fire, it’s the perfect opportunity to listen, ask questions, and catch up on all the things you missed out on—like the funny thing that happened at work, or the old friend you ran into today. Make a pallet of blankets and pillows on the back porch and snuggle in the cool spring breezes while gazing at the heavenly bodies above. Psalm 19:1 says, “The heavens are telling of the glory of God; And their expanse is declaring the work of His hands.” As you lay there, talk about all the ways God has blessed your relationship. If you’ve had a difficult marriage, there is always something to praise God for, even if it’s small. Then pray together, thanking God for His creation of the stars and His creation of each other. Your bedroom is the most intimate room in your house, yet it is often neglected. As you start spring-cleaning, focus on your bedroom first. The thick comforter on your mattress was perfect for snuggling in the winter, but during spring it can make your bedroom look stuffy and hot. Trade your dark winter colors and heavy fabric for soft, light-colored blankets and curtains. If you don’t have the resources to do this, try folding the comforter at the end of the bed to slightly change the look. Dust the furniture and clean to windows to clear away the musty smells of being closed in all winter. Then switch out your candles for a cooler, crisper scent, and make sure to burn them when the time is right! Now that March Madness is over, turn off the TV, and use that time to sit on the back porch together while the children play and read a book together. It could be fiction or non-fiction, long or short. For starters, consider reading books of the Bible. Then take the time to discuss what you read, sharing how it affected you. You might even consider using dinnertime to discuss what you read with the children. 8. Renew your wedding vows. Spring often symbolizes new hope—new life, new growth, new beginnings. 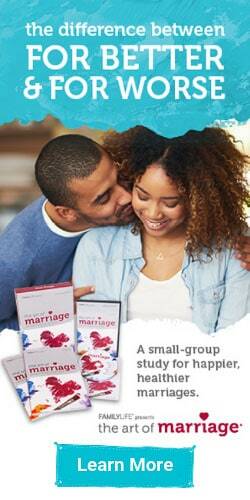 In the same way, you can renew your marriage by recommitting your vows. This is especially important if you’ve recently been through difficult times. Even though you made this promise once—and once was enough—it’s good for your spouse to know that you’re still committed to the marriage. Many anniversaries take place in spring, and a vow renewal service is a romantic way to celebrate. Recommitting your promises doesn’t have to be some elaborate celebration; you can use a card or letter, or simply tell your spouse one Saturday morning that you will always love, honor, and cherish him or her until death. 9. Go for a weekend getaway. Send the kids to a friend’s house for the weekend and spend some time alone together. 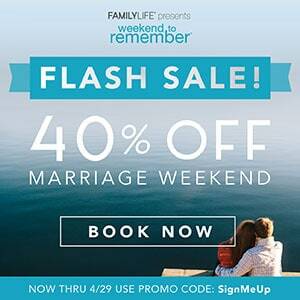 FamilyLife’s Weekend to Remember® marriage getaway is a great way to focus on your relationship. But maybe you just need to relax. If that’s the case, get a cabin or a local bed and breakfast and enjoy some peace and quite. We all need a break from the cares of life from time to time. 10. Turn over a new leaf. Are you holding a grudge against your spouse? If so, the most romantic thing you can do in your marriage is to forgive. By doing so, you are reflecting the unconditional love that God has for us (see Ephesians 5). This spring make a choice to change the patterns of hurt and bitterness in your life. As you let go of the resentment in your heart, you make room for love and trust, and you will have more romance than you thought was possible. Copyright ©2007 by FamilyLife. All rights reserved.